PICTURE DAY IS JUNE 15! Everyone is encouraged to be in the group pictures, even if you don't plan on purchasing portraits. Download the schedule here. 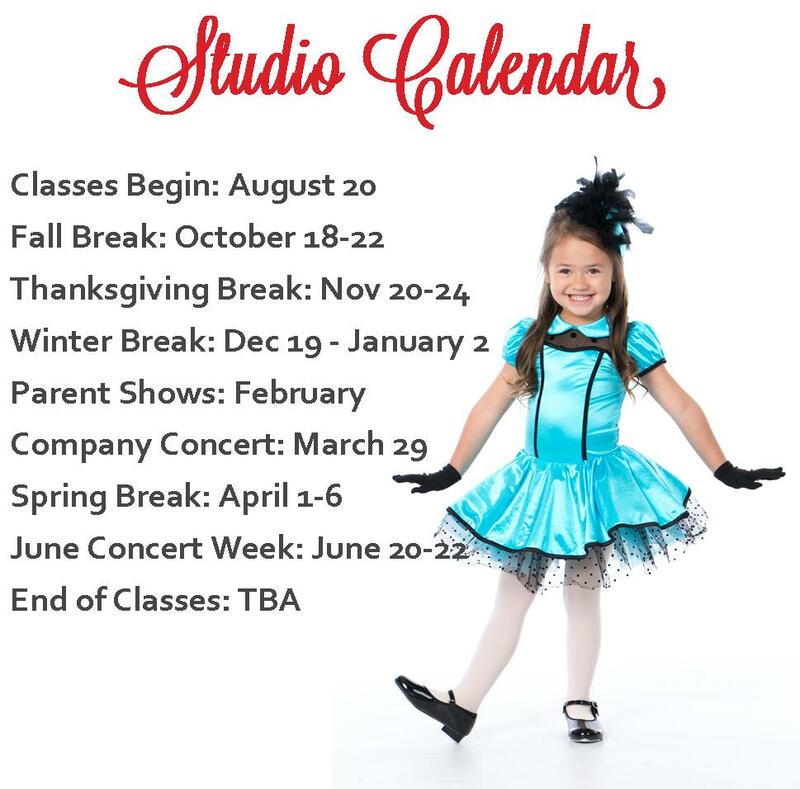 Go to https://hellodancerphotography.onlinephotocart.com/folders/265875​ and fill out information. If you would like individual pictures taken on picture day, it is most helpful for you to prepay online. Print your receipt or write down your order number. Arrive photo ready at your assigned time(s) with your printed receipt or order number. Everyone is encouraged to be in the group pictures even if you don't plan on purchasing any portraits. Individual portraits will be taken after the group picture of those who prepaid. Galleries will be available online at www.hellodancerphotography.com within 7 days of your shoot date. You get to select your package, poses and sheet sizes online after viewing your gallery! Must order with in 14 days of the shoot. Digital downloads will be available within the week. Your printed portrait orders will be available to pick up at the studio within 3-4 weeks from the shoot date. All dancers are encouraged to be in the group picture and those who would like to purchase pictures need to prepay online. You select your package and poses online after picture day and your full prepay fee is credited towards your package purchase. To learn more and to view package options, visit us at www.hellodancerphotography.com.